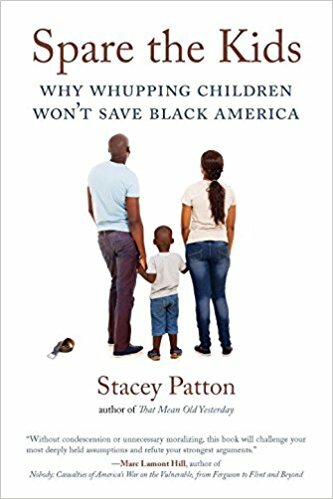 Why do so many African Americans have such a special attachment to whupping children? Studies show that nearly 80 percent of black parents see spanking, popping, pinching, and beating as reasonable, effective ways to teach respect and to protect black children from the streets, incarceration, encounters with racism, or worse. However, the consequences of this widely accepted approach to child-rearing are far-reaching and seldom discussed. Dr. Stacey Patton’s extensive research suggests that corporal punishment is a crucial factor in explaining why black folks are subject to disproportionately higher rates of school suspensions and expulsions, criminal prosecutions, improper mental health diagnoses, child abuse cases, and foster care placements, which too often funnel abused and traumatized children into the prison system. Weaving together race, religion, history, popular culture, science, policing, psychology, and personal testimonies, Dr. Patton connects what happens at home to what happens in the streets in a way that is thought-provoking, unforgettable, and deeply sobering. Spare the Kids is not just a book. It is part of a growing national movement to provide positive, nonviolent discipline practices to those rearing, teaching, and caring for children of color.